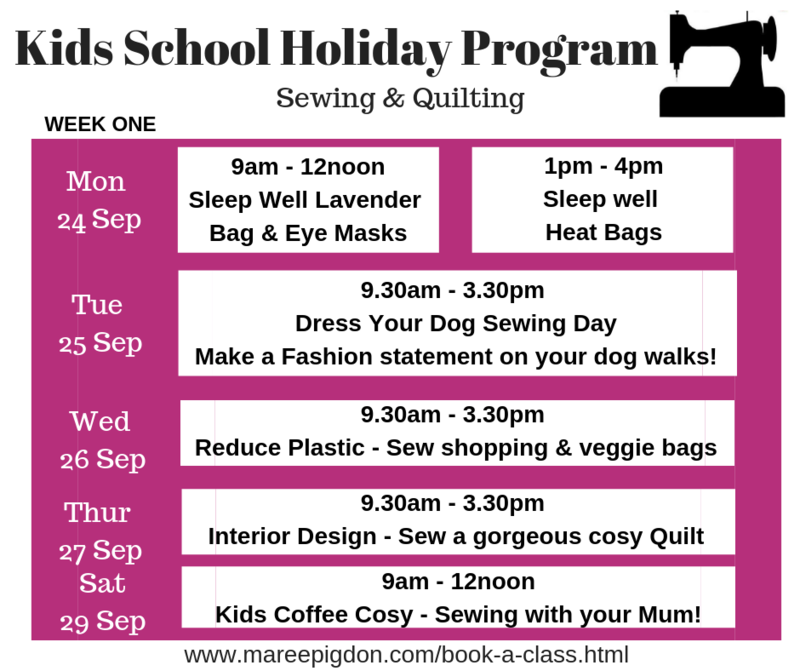 We have a fabulous array of Kids Sewing Projects in the up-coming September school holidays. 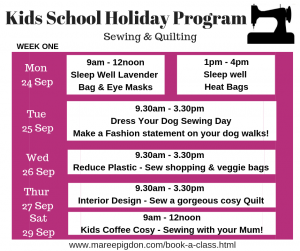 We’re promoting Health & Well-Being with sleep well lavender fabric bags, gorgeous eye glasses, reduce plastic & paper by sewing shopping & veggies bags. Even a bring mum to sewing day and making her a personalised coffee cosy with her name or favourite drink! 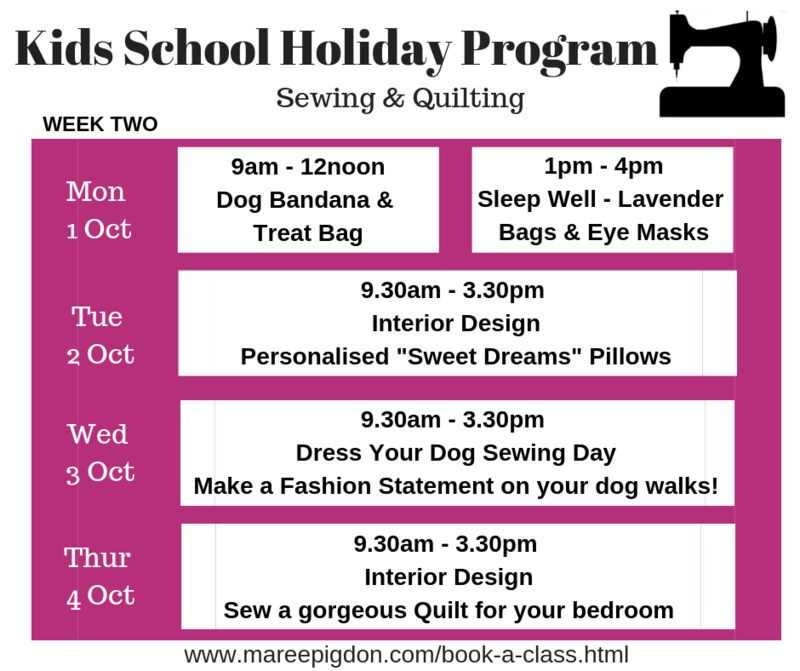 Dress up your dog sewing day and more! 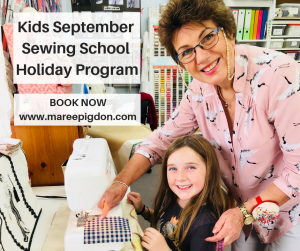 We create a supportive, up-lifting & fun teaching environment for all kids in our sewing school. We look forward to welcoming your child into our kids sewing club here in Mount Duneed. 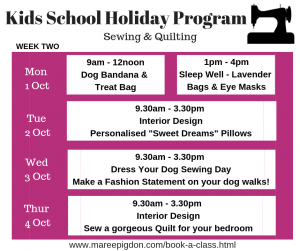 This entry was posted on Thursday, September 13th, 2018 at 9:22 am	and is filed under Kids Classes. You can follow any responses to this entry through the RSS 2.0 feed. You can leave a response, or trackback from your own site.